Renegade Real Estate Newsletter -- The Greeks, Real Estate & Nick! - Featured Article: "Net Operating Income & Capitalization Rates"
With Nick traveling in Greece right now we thought we should keep on theme and discuss a little bit about Greeks and math and how it all relates to real estate! Why not have a little fun right? As many of you know Nick and I are products of a Croatian father and a Scottish mother who met at the Palais Royale Ballroom on Lakeshore Blvd in Toronto. It's a little bit of a landmark as far as dancing halls go in Toronto. As a result of such heritage we were shot gunned over to Croatia many times on summer break as kids. It's a great place and until recently undiscovered. Beautiful beaches on the Adriatic Sea. Just thinking about it is making me smile. Croatia is sandwiched between Italy and Greece but we never made it over to Greece. Until now of course, Nick is probably having glass of red on a patio or marching up to the Acropolis as you read this! The Greeks played a major role in mathematics, going as far back as the 6th Century BC! You can learn more over at Wikipedia here. And of course math plays an important part in our wealth and asset accumulation. On the Blog you can read Nick's post about "The Rule of 72" and below this week's featured article is about two math topics we get asked about often. Net Operating Income and Capitalization Rates. Enjoy! You can apply here, we'll call you to see if you qualify! We recently interviewed some truly amazing Income for Life real estate investors who reluctantly revealed the strategies they are using to create positive cash flow properties right in your own backyard. This interview isn't "hype" but real results based on the implementation of a systematic investing approach. We have recently made this available on an audio CD to anyone who requests it in an attempt to cut through all the B.S. we see and expose fundamentally correct strategies to real estate investing. "Net Operating Income & Capitalization Rates"
Net Operating Income is commonly used to analyze real estate investments and it's really very straightforward. Now, a few accountants in the room may start tweaking this a little bit to include depreciation and/or Non-Operating income but for most purposes the above formula is accepted as standard. So in residential real estate investments you determine a property's Net Operating Income by taking the Revenue and subtracting the Expenses. Revenue will typically be generating by the rent on the property and perhaps any other income (like renting out parking spaces separately or having coin operating laundry machines on site). And expenses will be things like advertising, insurance, property taxes, maintenance, any property management and utilities (if you are paying for them instead of the tenant). So if you have a home you are renting out for for $1,650/month and your tenant is paying the utilities your monthly expenses may include things like insurance and property taxes. Let's say that comes to $275/month. You can fine tune these numbers with vacancy ratios and other minor expense but the above gives you a quick example of Net Operating Income. An important note, your debt service (or mortgage payments) are not included in Net Operating Income calculations. Capitalization Rates are used quite often in larger real estate investments. It's an attempt to look how fast the property will pay for itself. Many first time investors search out for properties that have a capitalization rate of 10% or higher. In the GTA the reality is that for larger investment properties like apartment buildings it's difficult to find anything above 7%. There is currently a lot of demand for such properties and investors are willing to take 7% or even lower capitalization rates on these. The property will pay for itself in 10 years. If you want to read more check out the Wikipedia article on capitalization rates here. 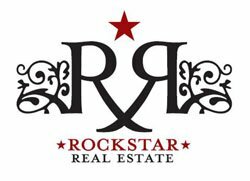 In order to focus exclusively on real estate investing they have co-founded their own brokerage, Rock Star Real Estate Inc.. The inspiration for the name came from the idea that we invest in real estate to live life on our own terms. To create your very own "Rockstar Life", whether that's time with the kids at the cottage or weekend gateaways to L.A. and Tuscany!